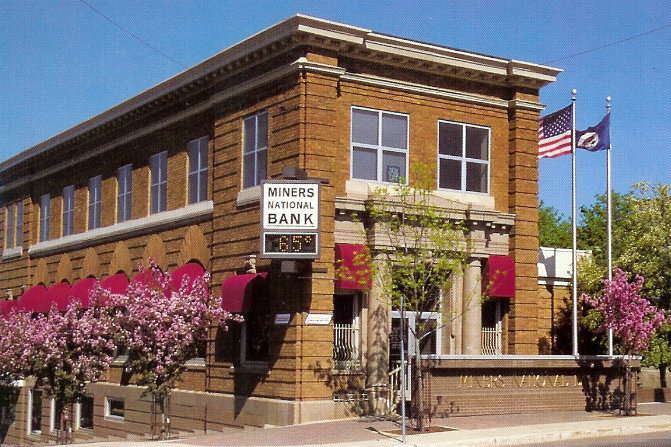 The Miners National Bank of Eveleth is an independent, family-owned, community bank located in downtown Eveleth. Established in 1903, we are a full service institution specializing in personalized service for all your personal and business needs. To help you keep up with the fast pace of the world today, we offer you access to your account information 24 hours a day 7 days a week through ATM services, internet and telephone banking. We strive for our customers to experience our community driven focus, we have coffee in our lobby daily, serve popcorn every Friday which is our casual day, and have coffee and doughnuts for Social Security day on the 3rd of each month.